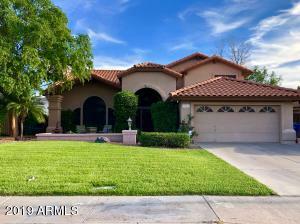 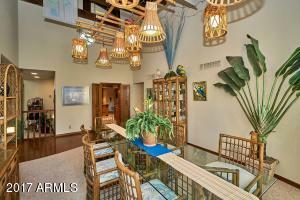 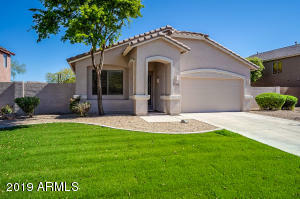 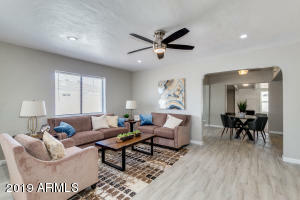 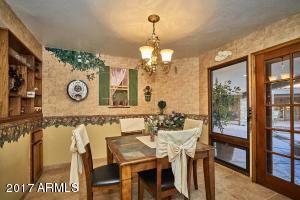 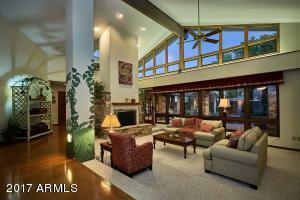 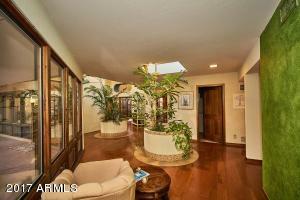 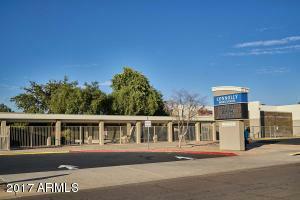 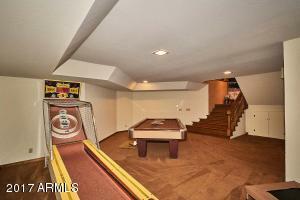 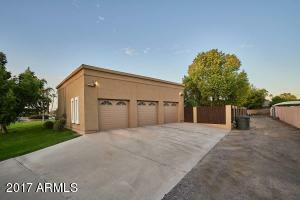 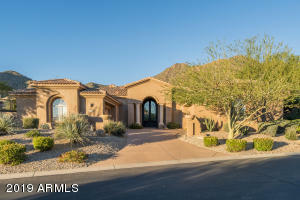 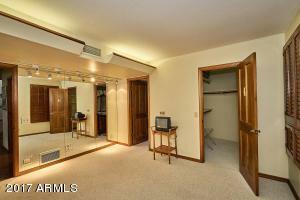 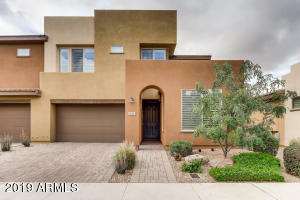 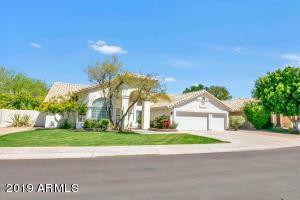 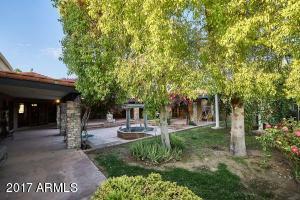 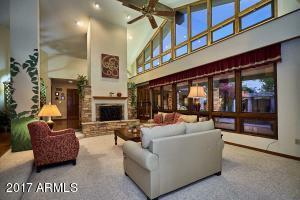 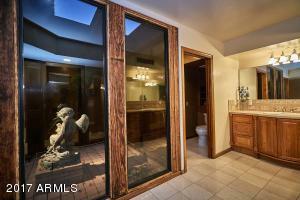 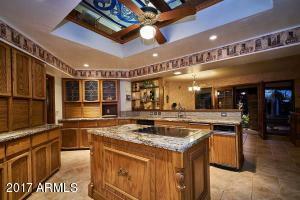 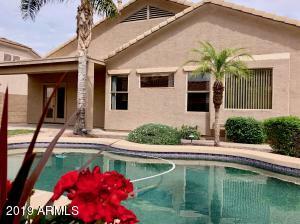 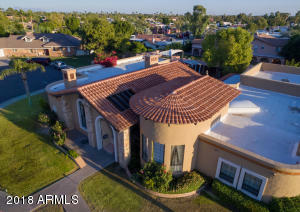 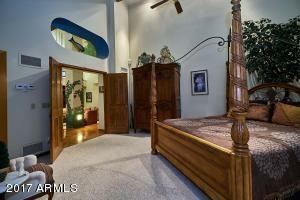 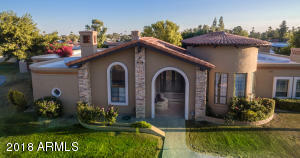 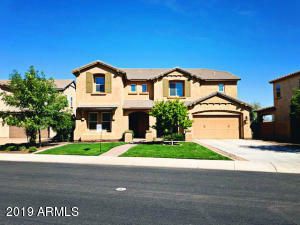 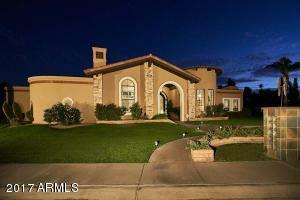 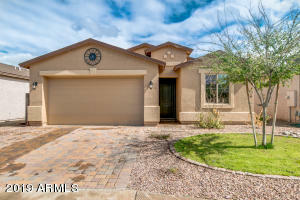 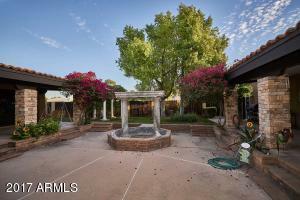 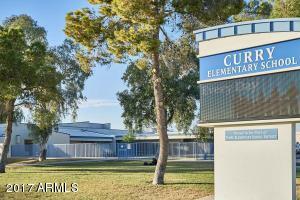 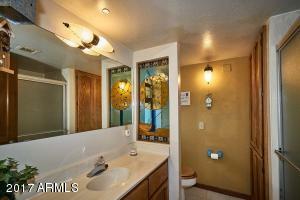 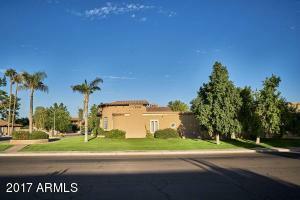 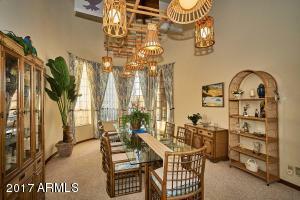 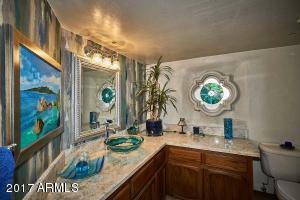 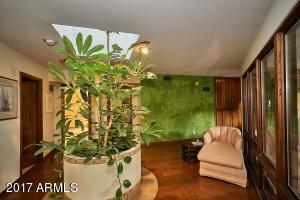 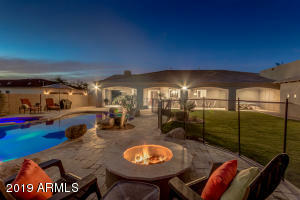 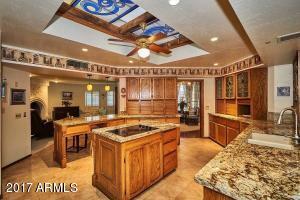 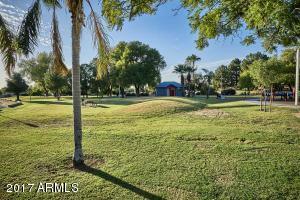 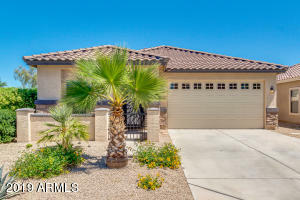 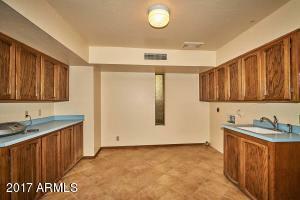 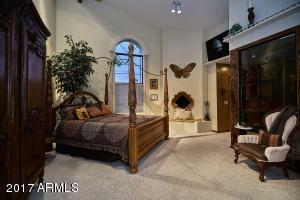 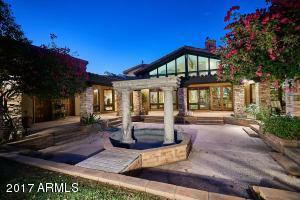 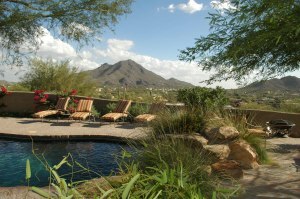 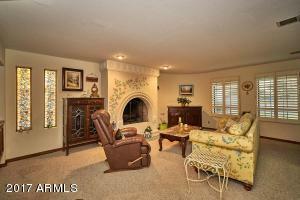 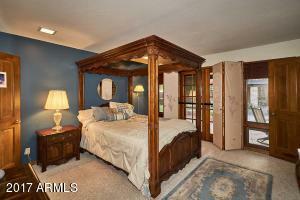 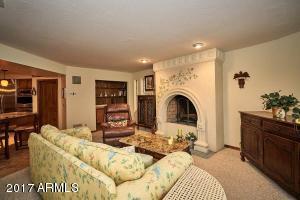 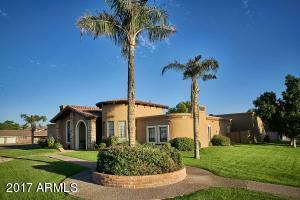 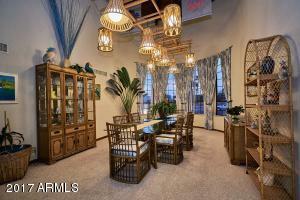 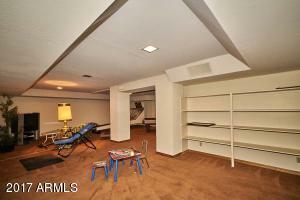 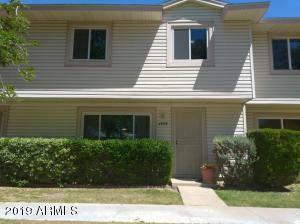 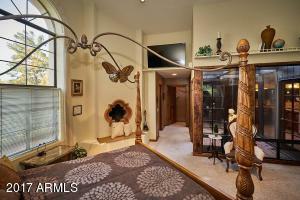 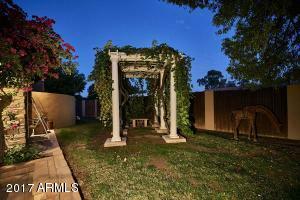 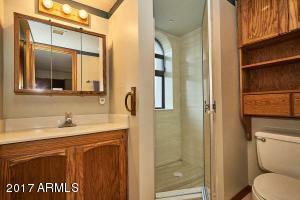 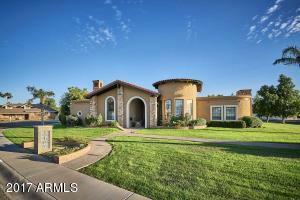 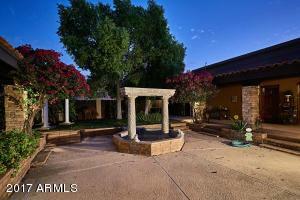 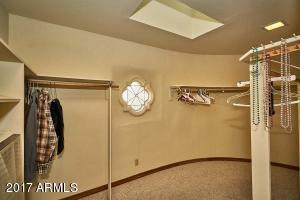 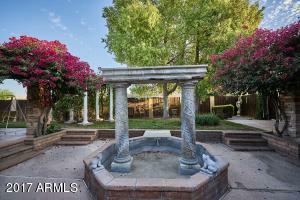 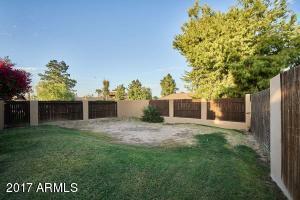 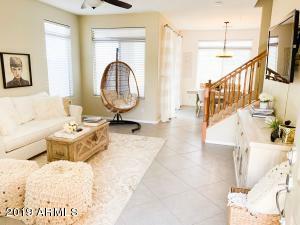 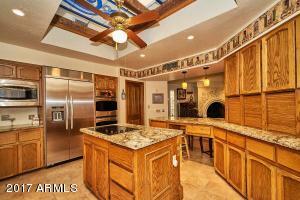 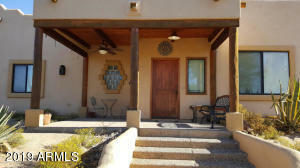 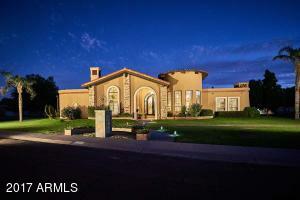 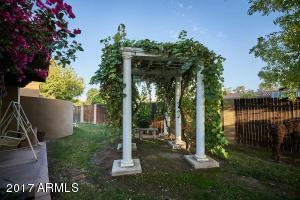 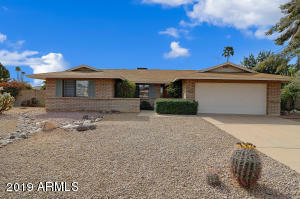 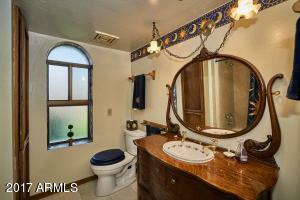 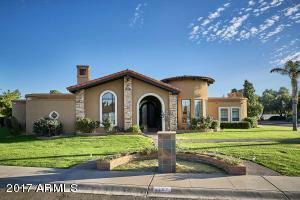 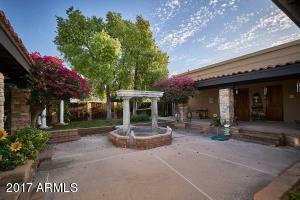 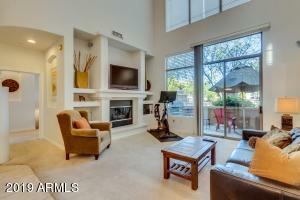 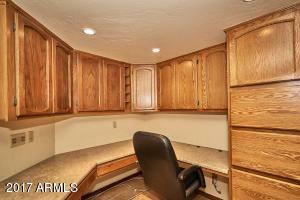 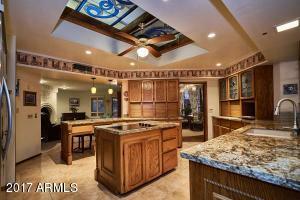 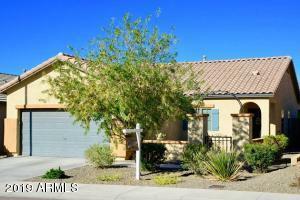 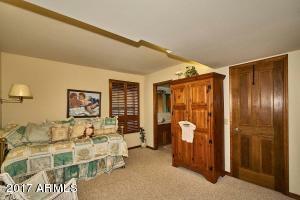 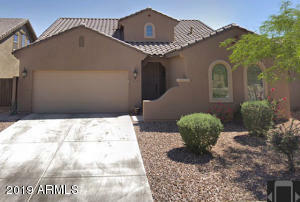 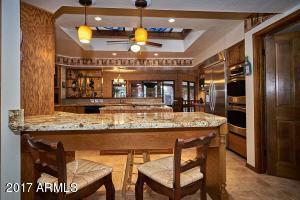 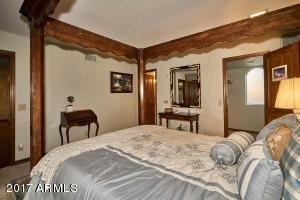 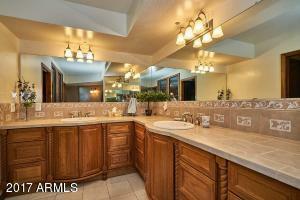 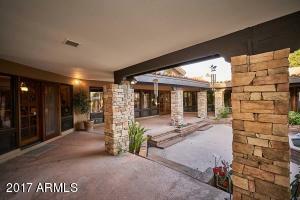 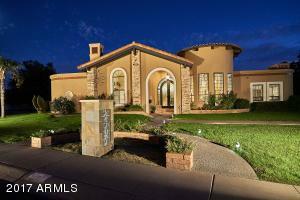 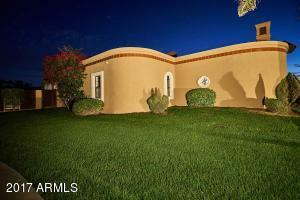 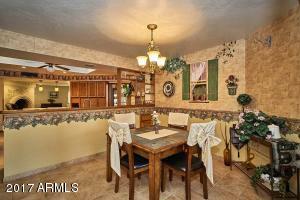 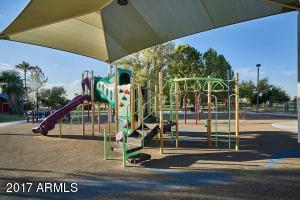 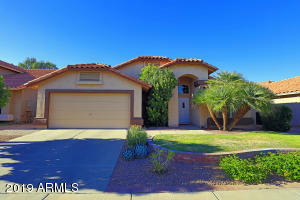 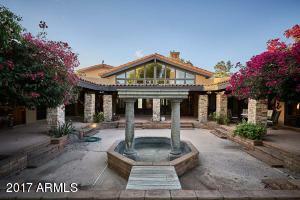 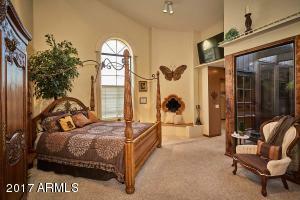 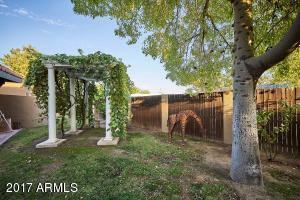 ''''LOCATION'''' Easy access to Scottsdale shopping, downtown Phoenix & &the South East valley. 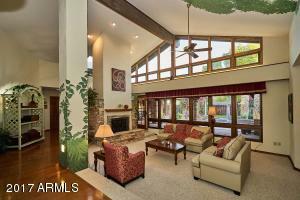 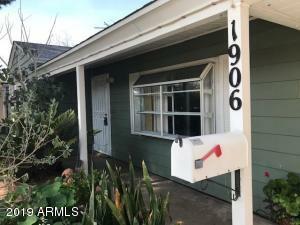 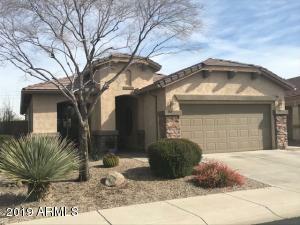 this home enjoys a spacious entry foyer and a wide step down living room with vaulted ceilings and one of the three fireplaces with a wet bar and fridge. 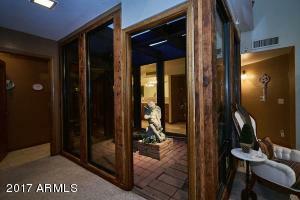 When entering the home a huge waterfall fountain is immediately visible through a wall of glass looking out to the covered patio. 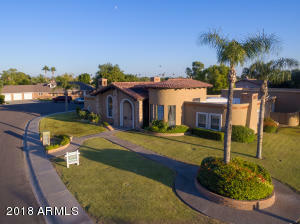 There are 4 bedrooms with attached baths, there is also the 2nd of the three fireplaces, an atrium, and a shower with regular head and a rain shower head adjacent to the large Master Bedroom, a formal dining room separates the entry from the ''Chef's'' delight fully upgraded kitchen with all appliances, including a trash compactor,granite countertops and individual hiding cabinets for small appliances. 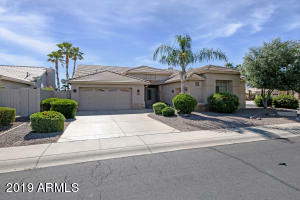 West on Broadway to River Road then south past the school to Aspen Drive the property is on the South east corner of Aspen Drive and River Road.